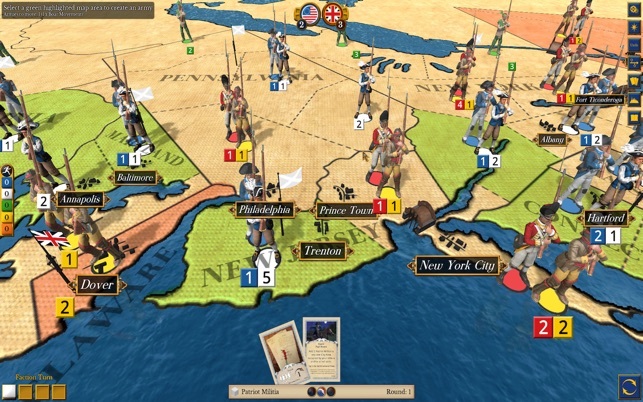 Now you and your friends command the armies of the British Redcoats, English Loyalists, German Hessians, American Regulars, Patriots, French Regulars and Native Americans to decide the fate of the Americas. Players from each faction cooperate to gain control of key towns and forts. Share the fun in this light and fast paced game vs the AI, hotseat or online! 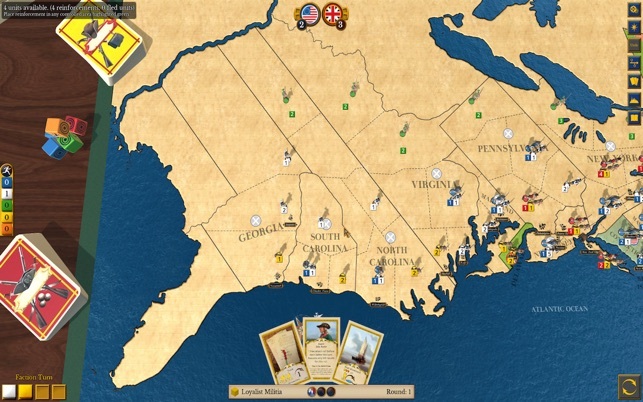 1775: Rebellion is based on the award winning board game developed by Academy Games. 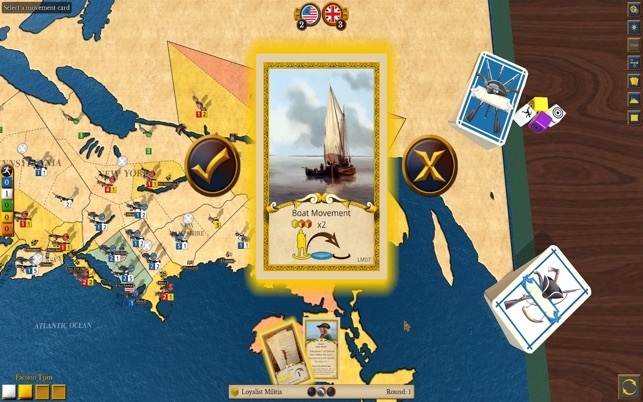 The mapboard represents the original 13 Colonies plus Maine, Nova Scotia, and Quebec. Each Colony is further subdivided into areas over which factions will struggle for control. A faction holds control of a Colony when only units of its side are present in the areas of a Colony. 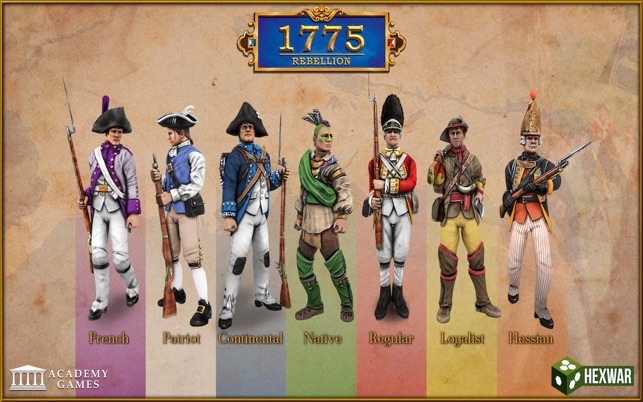 Player controlled factions include the Continental Army, Patriot Militia, British Regulars and Loyalist Militia. 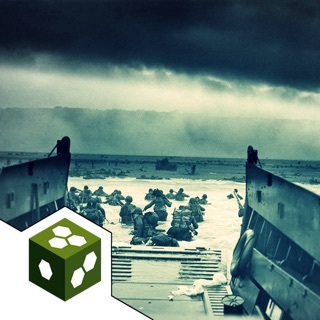 In addition to this the Allied French and Allied Hessian factions, which are controlled by American and British forces respectively, can be brought into the game by event cards playable by each faction. Each game is played in a series of rounds. Victory conditions are checked for each side starting on round three and each game ends with victory points being tallied automatically on round eight if no one has won before then. Each round is subdivided into four turns, one for each side, which happen in order determined by a blind draw of the turn marker for each faction. It is entirely possible for a faction to go last in a previous round only to go first in the next. Every Faction has a deck of cards consisting of Event cards, Movement cards, and one Truce card. Every turn, each faction will play a movement card to maneuver their troops and any number of event cards. When both factions of a side (British or American) have played their truce cards, the game will end! Each deck has a specific number of movement cards in it and managing them is an important part of the game. Each faction has a Truce card which serves not only as a timer for the game but as a powerful Movement card. However, a game may end prematurely if both factions of a side are forced to play it early in the game. 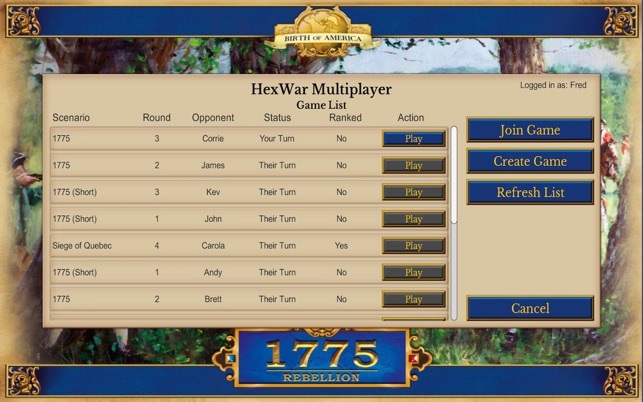 1775: Rebellion features simple and unique game mechanics and special attention to historical detail. Experience this critical time in American history, you will not be disappointed! *3 Scenarios – 1775, 1775 (Short) and Siege of Quebec. *Cross-platform online play or up to 4 player hotseat multiplayer. *Faithful conversion of the original board game. - Fixed an issue with AI getting stuck during the Quebec scenario. - Fixed an issue with the undo during reinforcement placement. - Fixed an issue with the event history showing the wrong faction when placing reinforcements.